Enjoy high-quality audio with this 40-inch Vizio 5.1 sound bar system. The SmartCast app and your smartphone or other mobile device lets you control the sound. Enjoy a true entertainment experience with this five-channel system, wireless subwoofer and surround speakers. 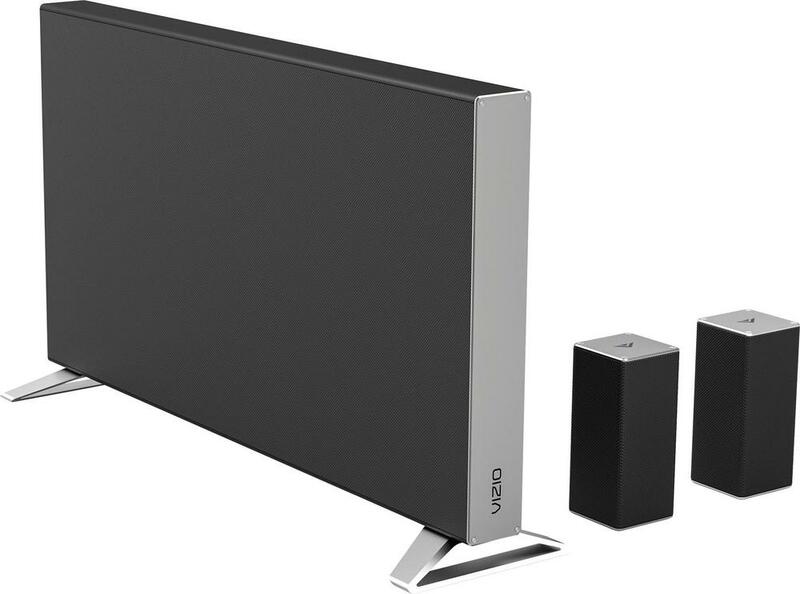 Set up and control this Vizio 5.1 sound bar system to experience uncompromising audio. Three-speaker enclosure: Features three drivers to deliver a movie theater experience in your own home. Wireless subwoofer: With 6" driver to deliver a movie theater experience in your own home.